Gentle Giant Announces SDCC Exclusive Rocket Raccoon Mini-Bust! Every year since obtaining the Marvel license for mini-busts in 2011 Gentle Giant has released an animal-related San Diego Comic-Con International exclusive. First in 2011 was Squirrelpool. In 2012 came Thor Frog. In 2013 we were given Spider-Ham. But in 2014, with the Guardians of the Galaxy movie opening one week after Comic-Con, one Marvel animal was the obvious choice for this year’s exclusive–Rocket Raccoon. 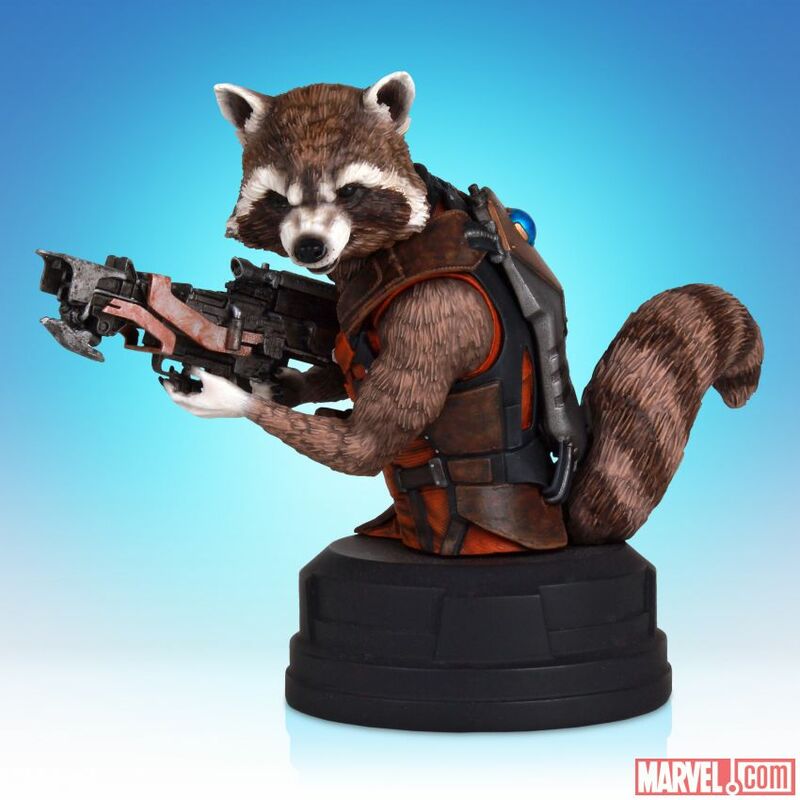 Unlike the previous animal releases, however, Rocket is a full-sized mini-bust standing almost 5 inches tall, and coming in at the regular $70 retail price. This item will be available for sale (and, with the upcoming film, likely really hard to get) at San Diego Comic-Con, but if you’re in Gentle Giant’s Premiere Guild you can pre-order him now and have him shipped to your door! Even if you’re going to the convention, given the heat on this furry guy this summer I highly suggest pre-ordering and quickly–Gentle Giant’s McQuarrie Luke Skywalker Mini-Bust has pre-sold out and I expect Rocket will do the same!